China's economy is clearly operating below its productive potential. Human, capital, land and other resources are under-employed, misallocated among economic sectors and inefficiently used. Achieving better resource utilisation is the most basic challenge China faces in seeking to meet its development objectives. Better integration among the various segments of China's economy is likely to be essential if resource utilisation is to be improved. Many of the priorities and suggested steps outlined below will need to be supported by complementary policies to improve market framework conditions and to strengthen the capacity of the government to support economic development. The task of achieving full employment in China is daunting. Rough projections indicate that China's aggregate labour force will increase by more than 70m over the next decade. To absorb these new entrants, along with the millions of workers expected to leave agriculture, while making progress towards reducing the number of underemployed, will require substantially more rapid employment growth in industry and services than in recent years. These differences have worsened as required contribution rates for enterprises subject to the formal pension system have increased. A first step would be to reduce disparities that now exist among urban areas, possibly by pooling financing of the first tier of the pension system at the provincial government level, rather than at the municipal level as is now the case. Over the longer-term, coverage will need to be extended to rural workers and those now in the informal sector in cities, but with flexibility to allow some local variations in contribution and benefit rates. Labour market reforms can improve the conditions under which labour is supplied but improvement in the capacity of the business sector to p r o d u c t i v e l y employ both labour and capital is equally crucial. An important longer-term goal is to foster the development of China's service sectors, particularly labour-intensive services, but the pace at which this occurs will depend on further increases in urbanisation. The more immediate priority is to restructure China's industrial enterprises through consolidation and reorganisation to achieve a more efficient structure of industry as a whole. Technology also needs to be upgraded and industry's capacity to innovate and to absorb new technology strengthened. China's government has long been heavily and directly involved in industry restructuring. Since the 1980s, authorities have sought to develop large enterprises as 'national champions' to compete in international markets with multinational corporations – although these efforts have met with little success. More recently, the government has intervened extensively and directly to reduce excess labour and other policy burdens of SOEs, to lower surplus capacity and to manage SOE restructuring. A key message of the study is that market mechanisms need to be strengthened so that they play the dominant role in China's business restructuring. Fundamental improvement in the performance of China's industries will involve extensive reallocation of resources, and changes in ownership and control extending across thousands of enterprises in both the state and non-state sectors. SMEs are crucial to this effort and their importance will further increase as the economy shifts toward more labour-intensive activities. These changes will need to come about primarily through market-driven processes in which individual enterprises reorganise to maximise the long-term value of their operations. 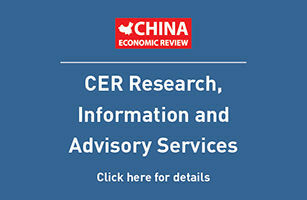 While trade and investment liberalisation offers opportunities to large Chinese enterprises, success in international markets has come to depend less on the scale of a multinational's operations than on the sophistication of its management and the effectiveness of its governance – qualities over which government can have little direct control. Given these conditions, government policies to promote restructuring need to focus on establishing conditions that support market restructuring processes, such as improving competition and clarifying property rights, while limiting direct interventions to matters such as the disposition of SOE assets, where market processes alone are insufficient to accomplish the task. For this to happen, banks and other financial institutions will need to have greater capacity and better incentives to lend to productive outlets. Financial markets need to be more flexible and open if they are to facilitate transfers of ownership and create a market for corporate control. OECD experience also offers lessons for improving access to external financing for creditworthy SMEs, as part of broader efforts to develop this key enterprise segment. The second key step is to end government interventions that constrain enterprises' ability to reorganise, distort their incentives to do so, and which block their exit when needed. SOEs need to be given autonomy to choose the partners and terms for mergers and acquisitions, without being burdened by non-commercial requirements imposed by government authorities. SOEs also need to have clearer claims and control over their assets if they are to be able to restructure their operations in a productive manner. Regional barriers to capital mobility and to cross-provincial business location also need to be curtailed. Policies that have the effect of creating cartels or price floors should be avoided wherever possible since these tend to limit incentives for restructuring and to slow exit. Equally important are reforms to facilitate and accelerate exit, since large numbers of China's present enterprises are not competitively viable and will need to leave the market if industry is to become more efficient. While such measures are essential first steps, their ultimate payoff depends on reforms in other areas. These include measures to eliminate external conditions that would tend to distort restructuring decisions, such as unequal social benefit burdens and incentives that encourage regional protectionism. Equally important are reforms to corporate governance and other framework conditions that are needed to ensure that enterprises have the capacity and incentives to exploit restructuring opportunities. Authorities might also review the current policy of developing national champions and consider narrowing its focus to areas where China's current advantages give it a better chance of success than in the past. The government has an important role to play in improving China's technological capabilities but there needs to be a change in emphasis. The government is likely to have to supply much of the resources to bring funding for basic science up to levels closer to international norms. China's government can contribute to technology diffusion by providing support to regional university and other research centres, for example. Despite its impressive performance, there is significant room to improve China's foreign direct investment performance. The strengthening of intellectual property rights protection under China's accession agreement should help to attract more foreign direct investment from business in developed countries, which have sometimes been reluctant to invest in the domestic market out of concern that their advanced technologies and production techniques will be inadequately protected.